The RoadHouse Prague kohteessa Praha, Tšekki: Varaa nyt! One of the best hostels I've stayed at, really nice staff, appreciated the glass of wine on arrival and dinners in the hostel. Clean, new facilities and perfect location. Also liked a lot the activities organized. Will come back here if I ever come to Prague again. 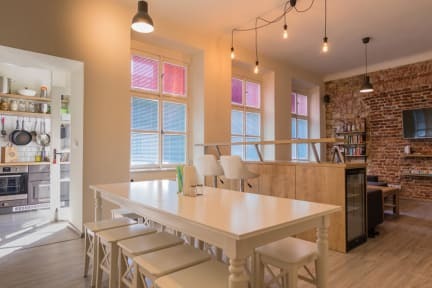 A really unique hostel and experience. The atmosphere is very open and home-y. 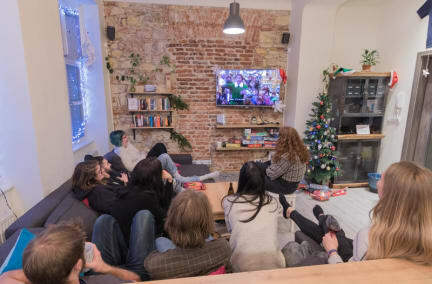 Perfect for solo travellers who have no previous plans locked it, The evening dinner session and planned activities are a great way to socialize more! Well worth the price and I'd stay again for sure!